PC Workshop collected a Samsung Laptop with a broken DC jack from Widnes on Sunday ( the whole jack was very loose) Simple enough job so long as you have the right equipment to desolder the old DC jack from the motherboard, cost wise it is a labour intensive procedure as the whole laptop has to be stripped down to achieve access to the underside of the motherboard. The replacement DC jacks are relatively cheap dependent on make and model and on parts availability. Manufactures change the layout on a model to model basis making it impossible to stock them all, but most are available within a couple of days (post permitting) We do carry the most popular models in stock. 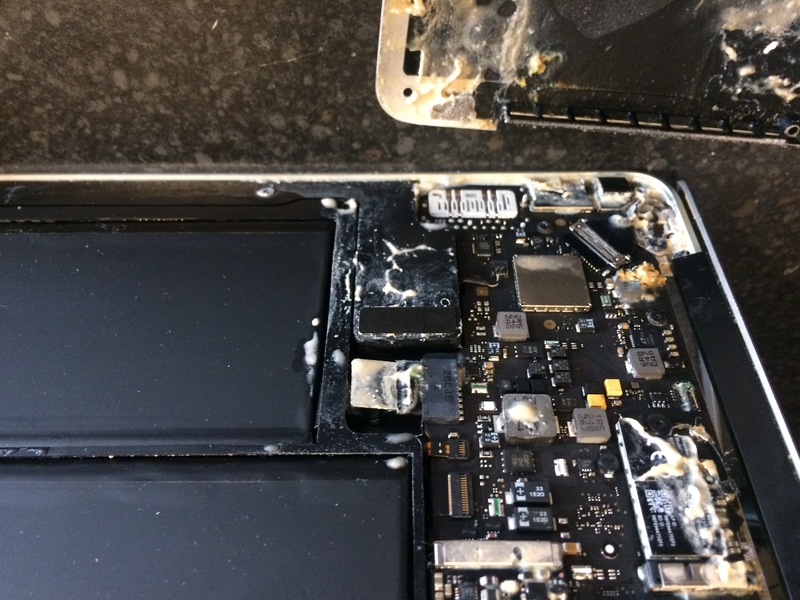 This laptop may have fallen while the AC adapter was plugged into the power jack as we found the inside casing damaged at the point where its held into the case resulting in a loose connection at the motherboard with cracked solder as well. After removing all old solder and cleaning the traces we are ready to solder in a new replacement power jack. Finally we reinforce the surrounding dc jack area to create a stable base. If your Laptop is charging intermittently, or fails to charge at all then the DC jack may have become damaged. Your power supply connects to the DC jack & provides the Laptop with power & charges the battery. Over time the laptop DC Jack can work loose from your laptops motherboard, perhaps as a result of the power supply being tugged whilst it’s plugged into to your Laptop, or if the power connector is knocked whilst it’s plugged into the jack. PC Workshop repairs Laptop power connectors & broken DC Jacks. Prices for this laptop repair Warrington start at £45 & as part of the repair procedure, we will strengthen the Jack ensuring it’s continued healthy operation for long after the repair has been carried out. Please contact us today if you suspect your Laptops suffering from a power connector problem. Give PC Workshop a ring on 01925 713359 to arrange any computer or laptop problems.